Much like the flora and fauna, we have been programmed to anticipate and adapt to the changing seasons, virtually by instinct. This is especially true now that the sweet scent of orange blossoms permeates the air, hinting at heat around the bend. 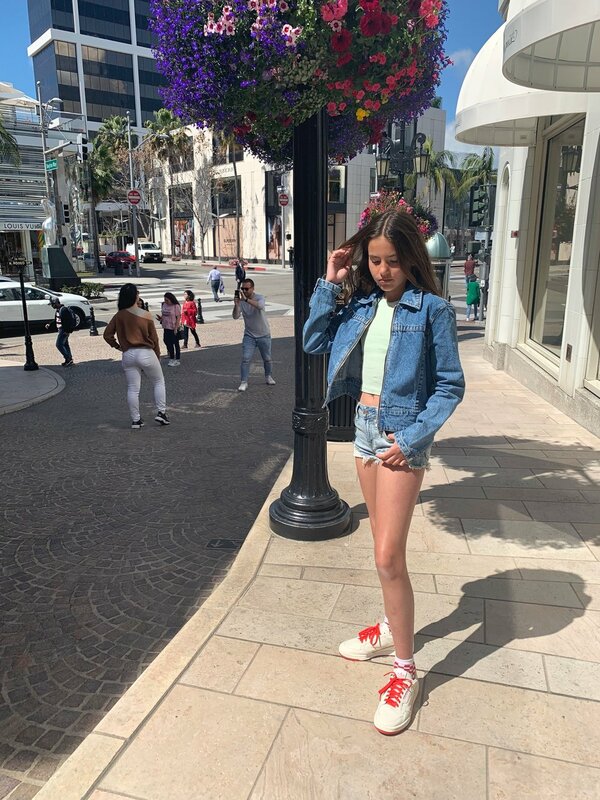 This year the season swooped in without warning, taking me to the City of Angels with my youngest in tow, while our teens spawned spring break plans of their own. We stayed in my old neighborhood, at the Peninsula where our daughter enjoyed one of my favorite rooftop pools in town, while I met with colleagues. Located in the heart of Beverly Hills just blocks from Rodeo Drive, the Peninsula caters to the discerning traveler with a penchant for understated elegance and stellar service. The tone of discreet beauty is evident from the moment a band of trees sneaks into view, encircling the classic Renaissance style hotel as though shielding it from bustling city streets. In similar fashion, the hotel retains a couple of chauffeurs so one might avoid the frustration that comes along with driving in Los Angeles. (Think William Foster in Falling Down). Suite, patio and cabana photos: courtesy of the Peninsula Hotel. All others, property of Designs by Alina. We reserved a car just once on the way back from dinner because we love to stroll, always choosing hotels that are on (or near) walking streets. Once you have seen the obligatory Rodeo Drive and Beverly Wilshire Hotel (where Pretty Woman was filmed) consider venturing south of Wilshire Boulevard, away from the tourists, to S. Beverly Drive, home to local boutiques and lively restaurants like Urth Caffe, where celebrity sightings are not uncommon. (I have spotted Jessica Alba and Gwyneth Paltrow among others, while enjoying my morning latte.) The pastries are hit or miss so I now opt for an omelette or French toast, and when I am craving a buttery, flakey pastry, Chaumont, one block north of Urth Caffe, is delicious. LA quirkiness at its Hollywood best, anyone? Head on over to the Spadena House (aka the Witch’s House) four blocks north of the hotel on Walden Drive. This city landmark, known for its whimsical, intentionally decrepit style, was designed in 1922 by Harry Oliver, an Art Director who later influenced Storybook architecture. Brunch/lunch: Fred’s rooftop restaurant at Barneys has it all: farmers-market-fresh fare and a spectacular view of the Hollywood Hills. Another popular spot is The Farm (try the tuna three-ways). Then there is Sugarfish where your taste buds come to life with mouth watering sushi that will leave you clamoring for more. Be warned, however, not to ask for miso soup, cooked fish or dessert because, well, there is none. Sugarfish is all about simplicity stemming from exceptional ingredients. Ah, what I wouldn’t do for one of Chef Nozawa’s toro hand rolls right about now! Founded in 1983, The Ivy on Robertson is brimming with flowers, making you feel as though you are in a country cottage rather than the industry darling it continues to be. And while it is pricier than most restaurants in the neighborhood, you will not be disappointed from the moment you are greeted with a glass of chilled champagne. Dinner: The places I used to frequent as a resident years ago, are more than just relevant today: Il Cielo (Italian cuisine) still tops my list for the most romantic garden setting. And like Il Cielo, Spago (Wolfgang Puck’s flagship restaurant) has been around for decades and continues to be a front-runner. These restaurants are superb, though many would argue that West Hollywood is where the hottest new eateries are, and I tend to agree. My husband and I gauge our dining experiences a bit differently: he is a stickler for outstanding fare whereas I seek out beautiful design and a lively, unpretentious ambiance. That said, if you are up for a short drive to West Hollywood, we both recommend Catch, Eveleigh, or Lucques. Last but not least, if you have a sweet craving at four o’clock in the morning or want to surprise your little one while you sleep in, the world’s first cupcake ATM Sprinkles on the corner of Santa Monica Boulevard and N. Camden is available twenty-four hours a day. Yes, my husband and I are foodies and our children don’t fall far from the tree, but the greatest gift this time around had little to do with my palate or business. Pounding the same streets I did for so many years as a young woman in television, with my daughter beside me was really some kind of wonderful. But to stand in front of my old Beverly Hills apartment with someone who might have only touched my heart back then by way of a wondrous dream? Well, that, was nothing short of surreal! Whether you have sprung forward in a matter-of-course, or added a touch of nostalgia for good measure, we wish you and your loved ones a glorious season of bloom.